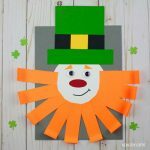 A fun and easy leprechaun craft for kids. 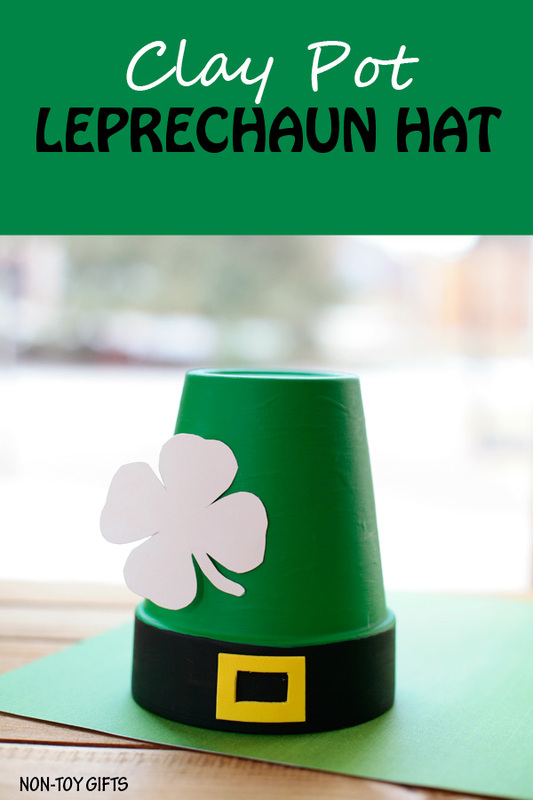 Use a clay pot to create a leprechaun hat and decorate it with a paper shamrock. 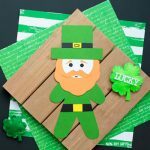 The crafts we did last week last had all something in common that reminded me of my childhood: a 4 leaf clover. 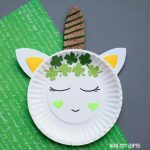 I used to look for lucky clovers and jump for joy when I was able to find one. 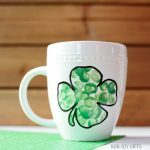 Now anything shamrock-inspired is associated with St Patrick’s Day. 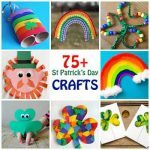 We didn’t celebrate this holiday when I was a kid in Romania, I knew nothing about leprechauns or pots of gold. But a field covered in clovers always made me happy. 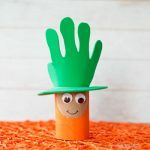 This clay pot leprechaun hat was inspired by Life in Wonderland’s place card. 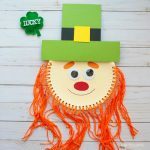 It is a simple craft that can be used as a St Patrick’s Day decoration. We have ours by the fireplace. 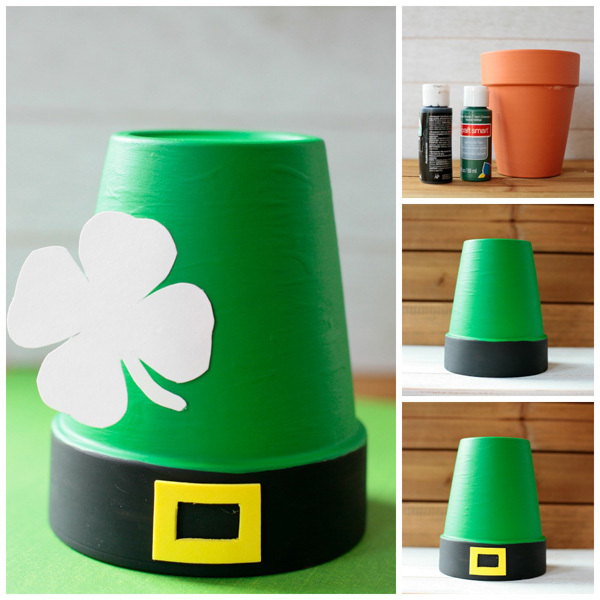 Step 1: Paint your flower pot green. Wait for the paint to dry and apply another layer. 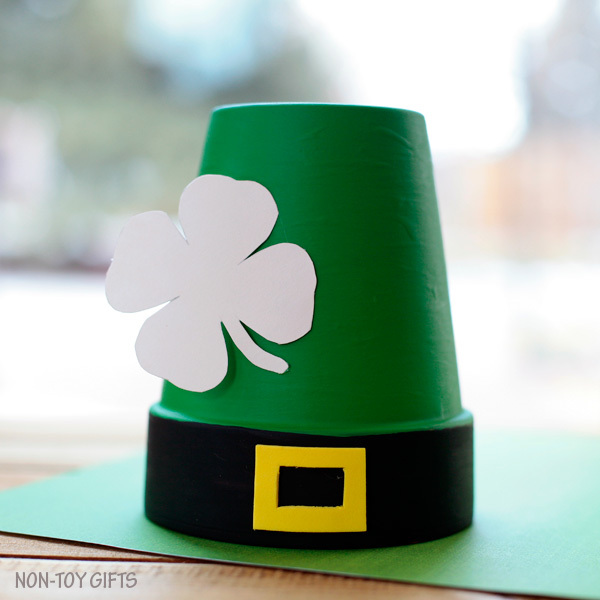 Step 2: Paint the flower pot rim black. 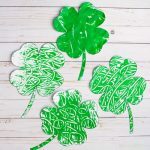 One layer of paint is enough. Step 3: Cut a belt buckle out of yellow foam and glue it on the black rim. 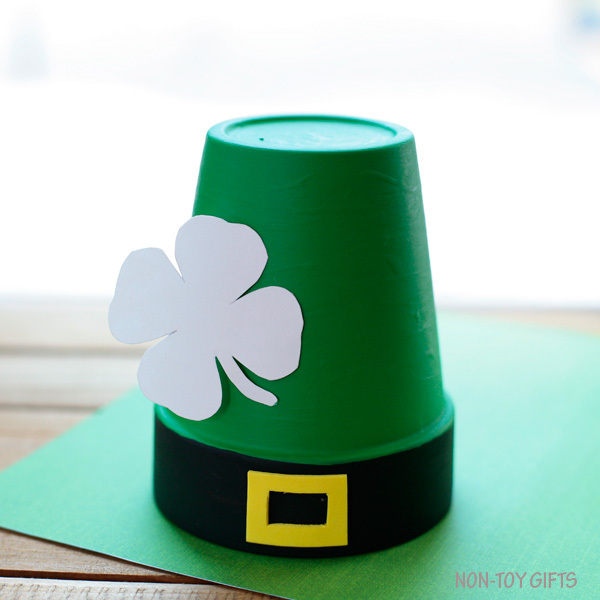 Step 4: Print out a shamrock on white cardstock, cut it out and glue it on the green part of the clay pot.